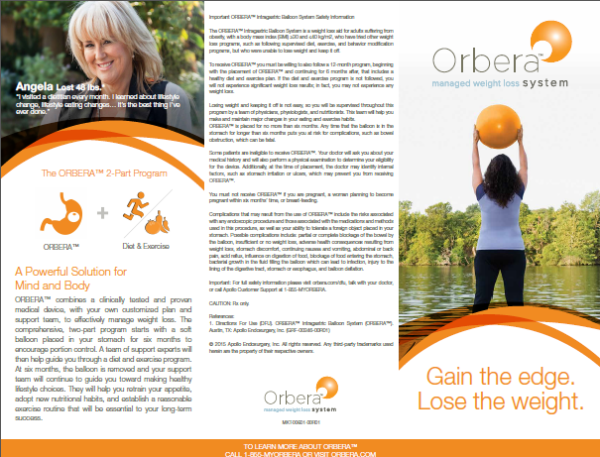 ORBERA™ combines a clinically tested and proven medical device, with your own customized plan and support team, to effectively manage weight loss. 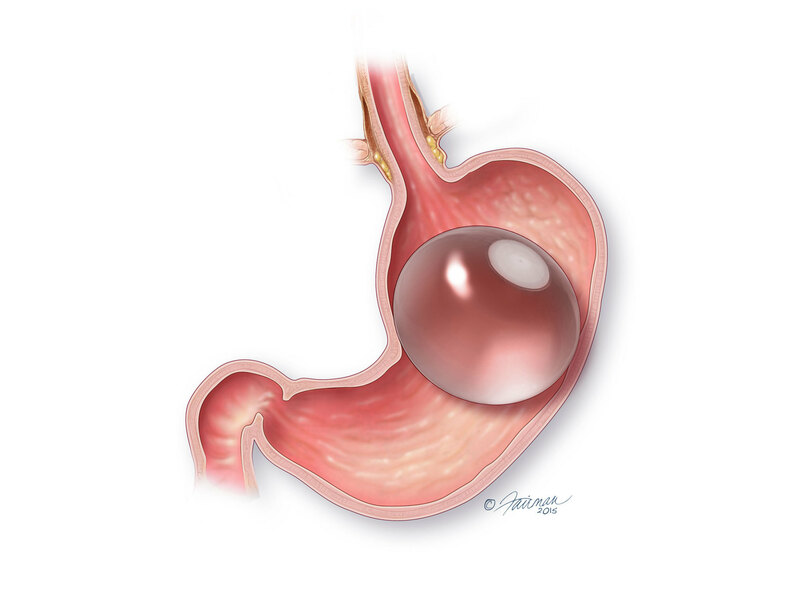 The comprehensive, two-part program starts with a soft balloon placed in your stomach for six months to encourage portion control. A team of support experts will help guide you through a diet and exercise program. At six months, the balloon is removed and your support team will continue to guide you toward making healthy lifestyle choices. They will help you retain your appetite, adopt new nutritional habits, and establish a reasonable exercise routine that will be essential to your long-term success.